The Zoo – we let our passes expire for a while and just renewed. A lot has changed in that time and I was really impressed. Pandas, lemurs, the new suspension bridge to the prehistoric park. My favourite “zoo hack” is that back parking lot. Included in your membership parking and completely skips the sweaty trek from the main parking lot, up the hill, through the tunnel. Park in the back, cross the street and you’re at the tigers! Heritage Park – growing up here I was never that impressed with Heritage Park. BUT, that has completely changed. I love how every visit can have a completely different feel and that, regardless of how busy it is, there is enough space for everyone to spread out and enjoy themselves. Calaway Park – we didn’t actually do the season’s pass this year, but have for the past couple. It can be a really great place to spend a day. I tried to go on slightly less busy days (mid-week, a bit cooler days, etc) and found that to be more enjoyable. Waiting in long lines isn’t fun for anyone. 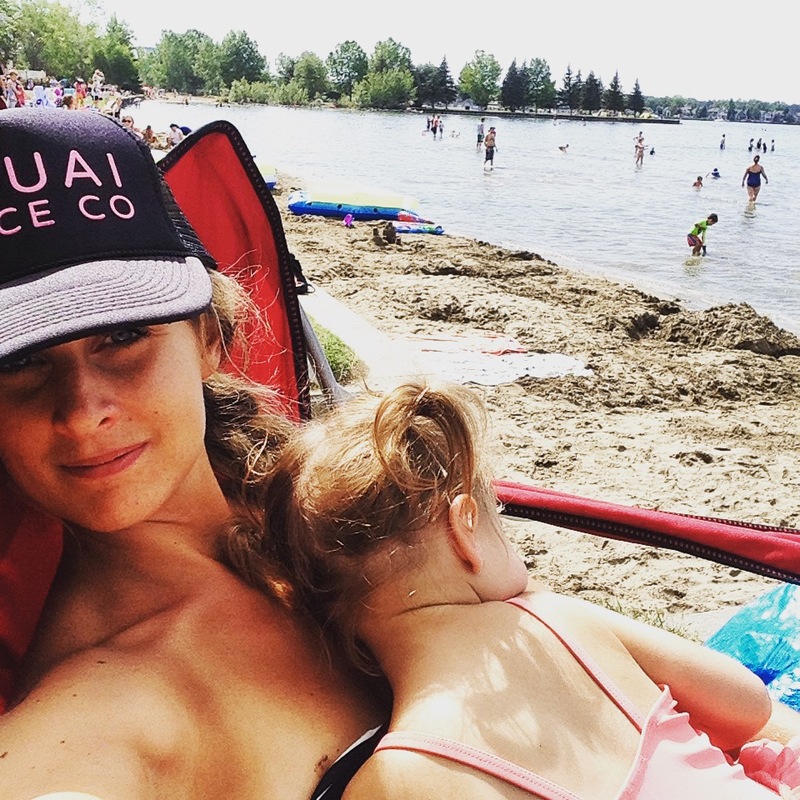 Stampede – we love the Calgary Stampede! Last year we actually took our kids later in the day and stayed for the grandstand show. It was great and has gone down as a very special family memory. 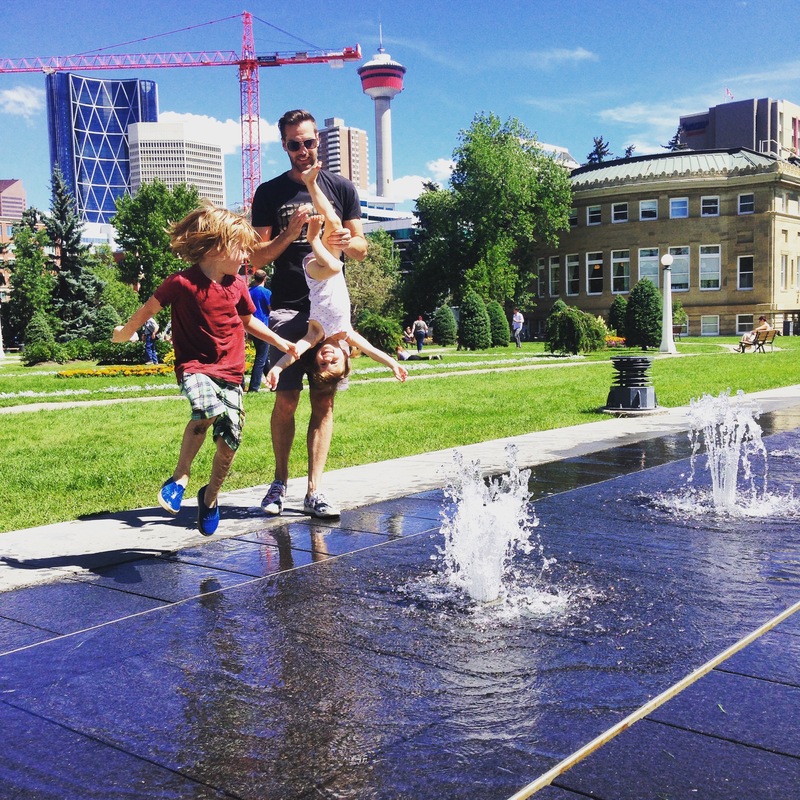 Memorial Park – this is a lovely park (one of Calgary’s oldest) with ground level fountains that act as a make shift splash pad. There are washrooms onsite, cafes near by and as well as a historic public library within the park itself. 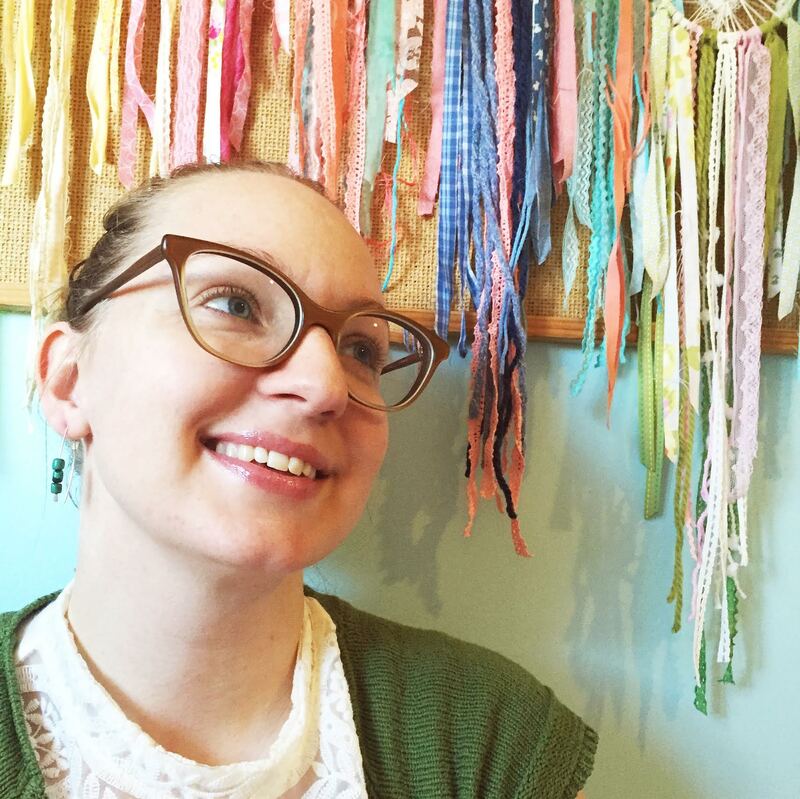 Sandy Beach – not sandy at all. Very rocky, actually. But a really great place for river wading, rock skipping and shade finding. There’s a little playground there as well. Confederation Park– another of the city’s most beautiful green spaces. And the new natural playground is very fun! 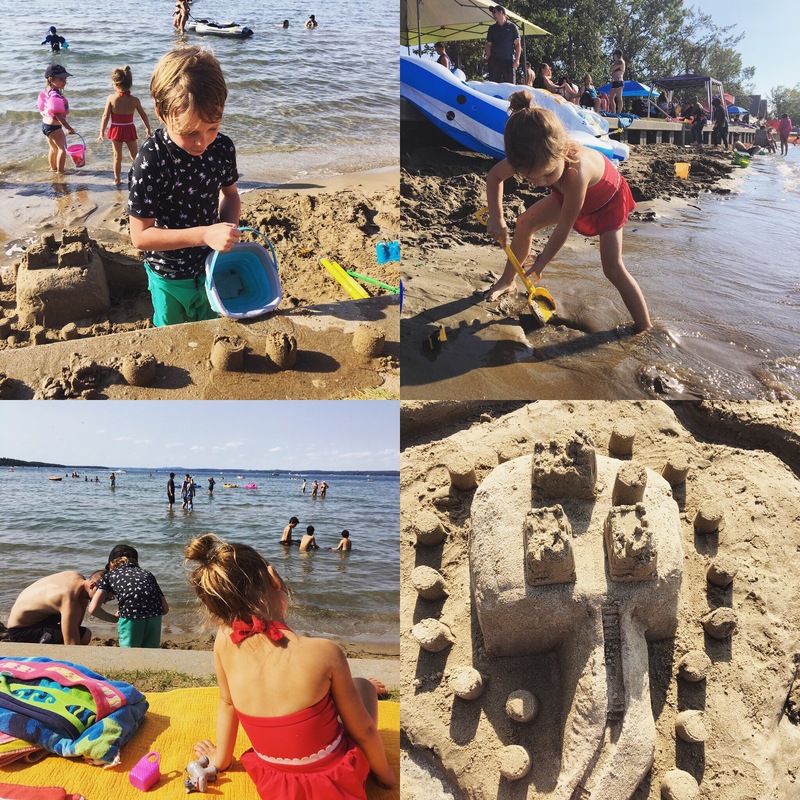 Sikome Lake – I’m happy to pay the entrance fee for this beach (it’s a BEACH. In the city. And I’m hopeful that part of the funds collected go towards keeping that water healthy!). Also, there’s often a Hawaiian shave ice truck there and it’s legit! Riley Park – such a fun park! We love the playground (though it can get quite busy with daycamps). The wading pool is free, clean and a lot of fun. Finding a place to set up in the shade of those beautiful trees is another reason to enjoy. Stanley Park – one of our all time favourite summer destinations. We often spend a full day there, starting out at the playground and river, picnic lunch, and then to the pool for when it opens (usually 1pm). Stanely Park Outdoor pool is one of the few that have a separate shallow pool for younger kids. Outdoor pools – we usually buy an outdoor pool pass (good for most of the ones in the city) and make our rounds! It’s probably my most favourite thing to do on a hot summer day. Also – the outdoor pools offer swimming lessons and we’ve really enjoyed them. It’s a bit like stepping back in time. 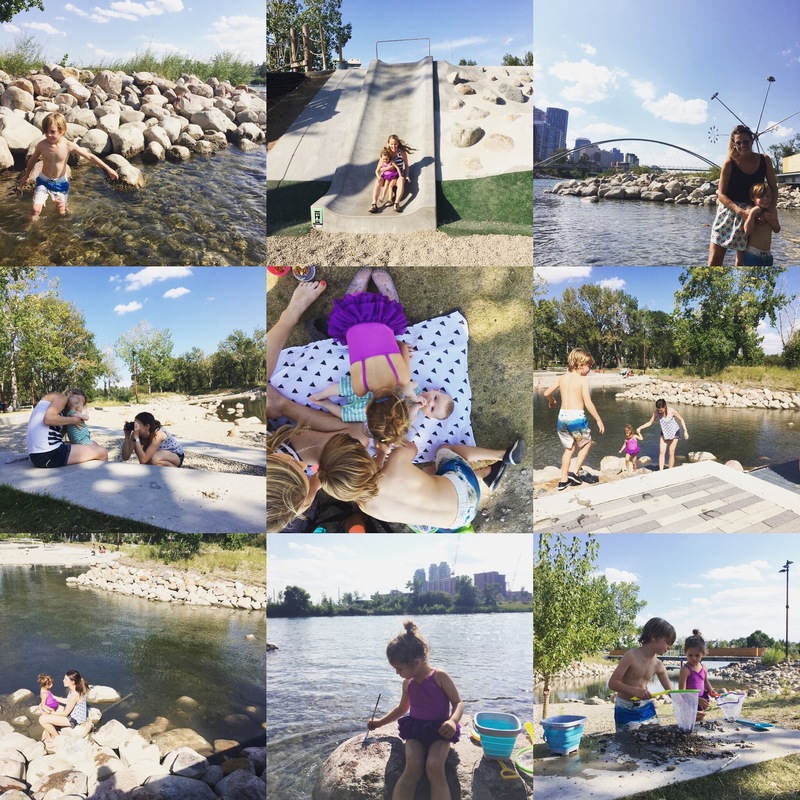 Eau Claire/Prince’s Island – the wadding pool here is pretty fun and I enjoy having all of Prince’s Island park to explore. 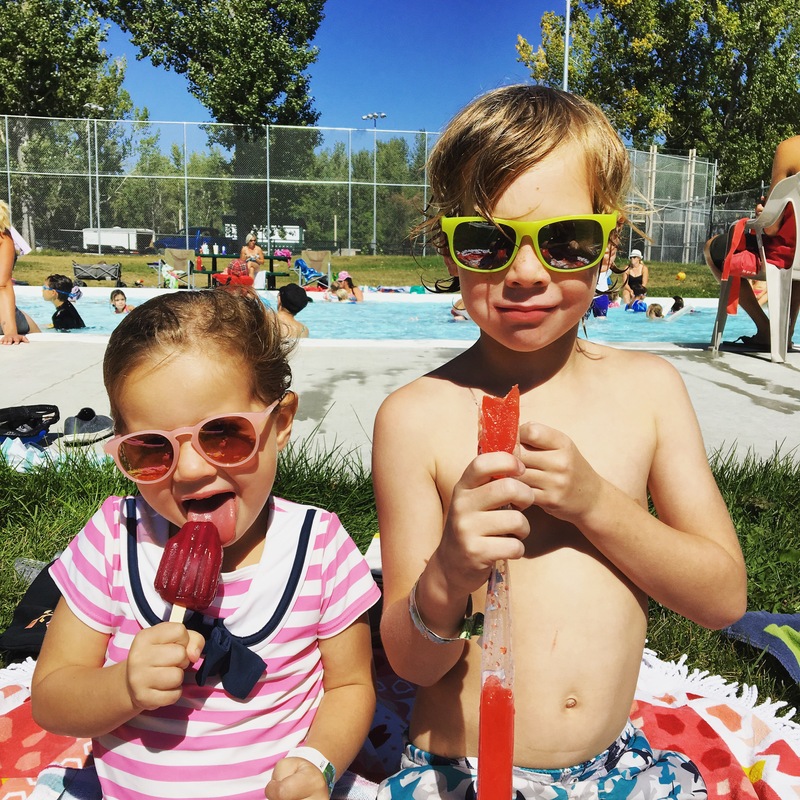 Splash parks – although we’ve pretty much outgrown splash parks, we definitely enjoyed them in our day. A few of our favourites: South Glenmore, Valley View, Rotary Park. 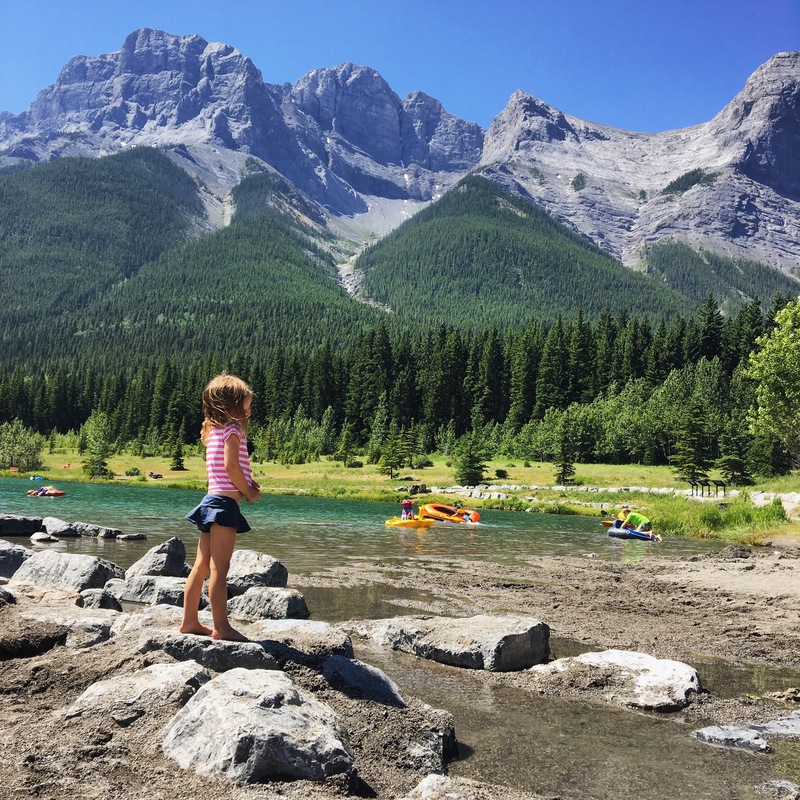 Quarry Lake (Canmore) – we went here for the first time last summer and it was amazing! It’s the perfect spot to spend a day, so much to explore, shallow water (that actually warms up), rocks to play with and jump off of. Just note that it’s an outhouse only bathroom situation and you need to pack all your food and water. Also worth noting that this area can be closed due to bear activity, be sure to check before you head out. Johnson Lake (Banff) – absolutely stunning. Cold water but an almost sandy beach. It’s a small area that I know gets busy but it’s definitely worth a visit! 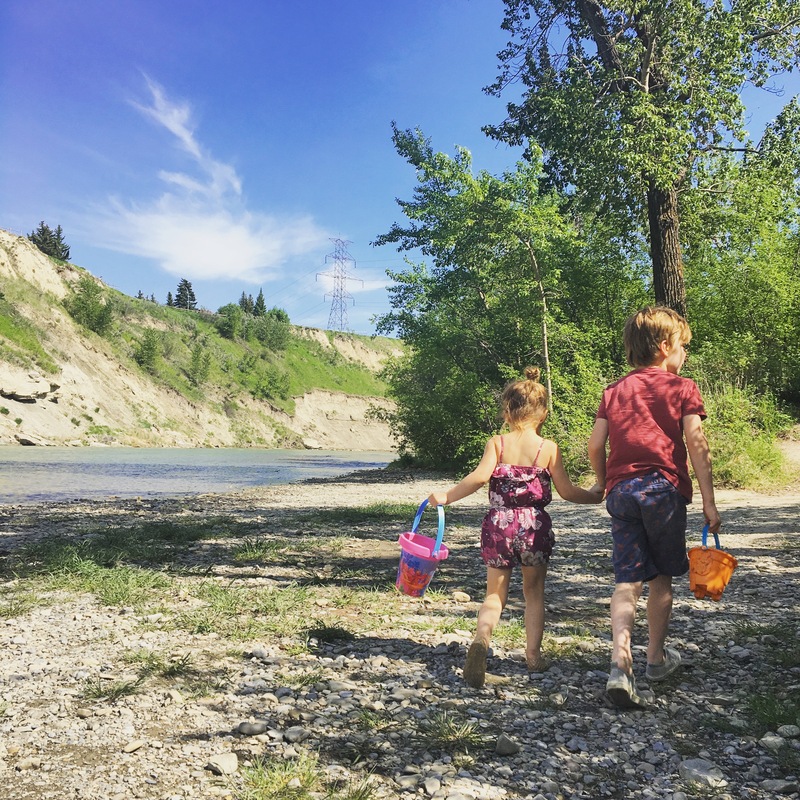 Sheep River (Okotoks) – the river here (literally inside the Lion’s Campground) is very shallow and so much fun for kids to play in. Adults can plant a lawn chair right in the river to supervise and stay cool. Bow Falls to Natural Playground “Hike” (Banff) – whether you start at Central Park or at Bow Falls, this is a fun, easy hike/walk with waterfalls, bridges and rocks to explores. Discovery Canyon (Red Deer) – a manmade rock waterslide that you can tube down. There is a shallow beach at the bottom. SO MUCH fun! I was shocked to discover it in Alberta. Very beautiful. 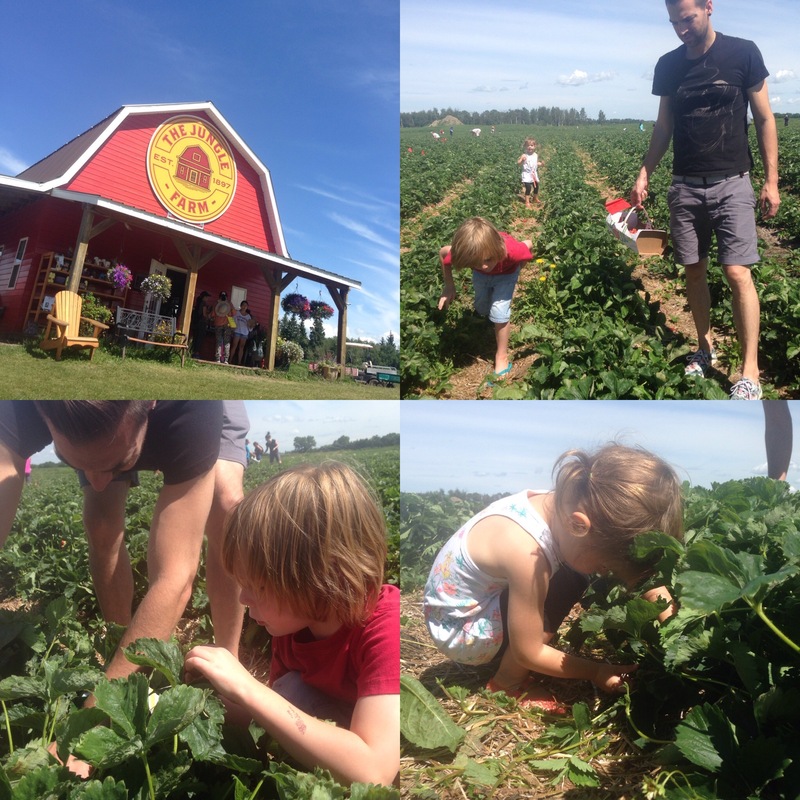 Jungle Farm (Innisfail) – a you-pick farm that is super family friendly. The strawberries we picked a couple summers ago were some of the best I’ve ever had. Lots of play structures for kids to climb and explore. Hint: go early in the day if you can, as they sometimes get picked out and that can be a disappointment (speaking from experience here). Sylvan Lake – a bit of a drive but it’s so nostalgic for me and the updates they’ve made recently are so nice. We try to get out there at least once a summer. It can be done as a day trip but gets really busy on weekends (being there early to get a spot is a good idea). We’ve done a hotel overnight the past couple summers and find it to be quite enjoyable that way. Float down the Elbow River – we did this all the time growing up and loved it. I think we’re finally brave enough to do it as a family. We park a car at Stanely Park, drive to Sandy Beach as our launch point. The float takes about an hour and half. The last time we did it (my husband and I), we went to the pool afterwards to wash off the river and it was perfect! 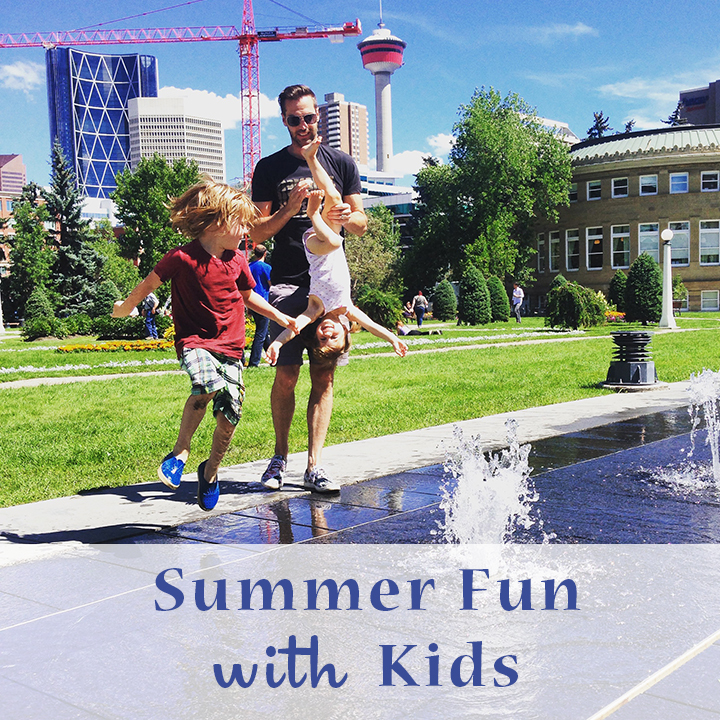 Thomas Family Park (Beltline) – this playground looks fun and we love downtown adventures. Maybe pair this one with a trip to The Beltliner, one of my favourite brunch spots. Blackfalds Waterpark – just heard about this place and was thinking it could be fun to check out. I do wish Calgary had an actual waterpark! 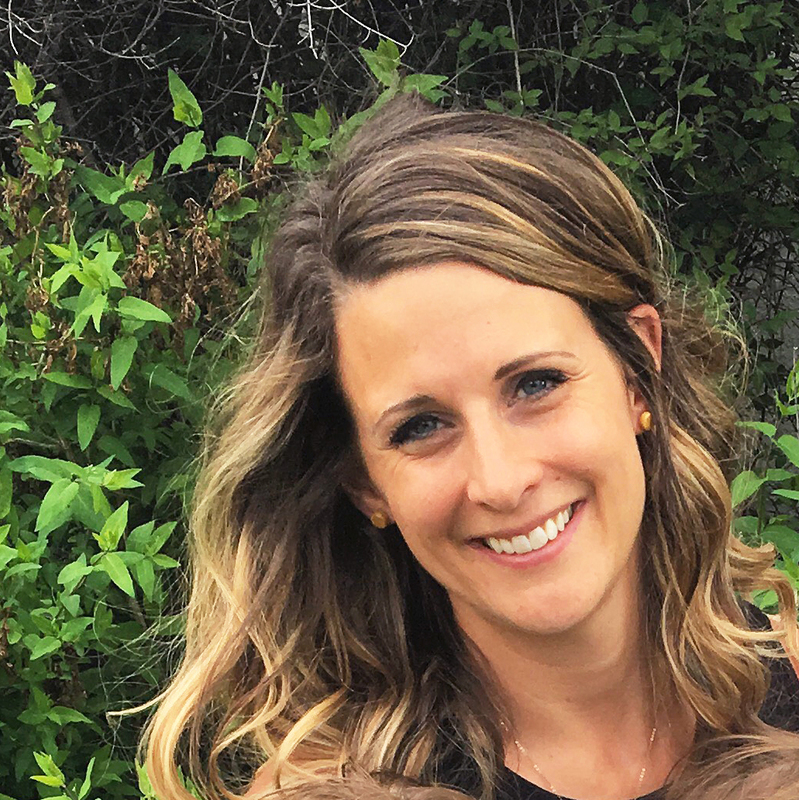 Banff Gondola – we’ve yet to do this with our kids but I would really like to. Kids are free if you go before 10am. This could be a good option if you’ve been camping or (much more likely in our case), hotel-ing in Banff. Phew. That’s quite the list! 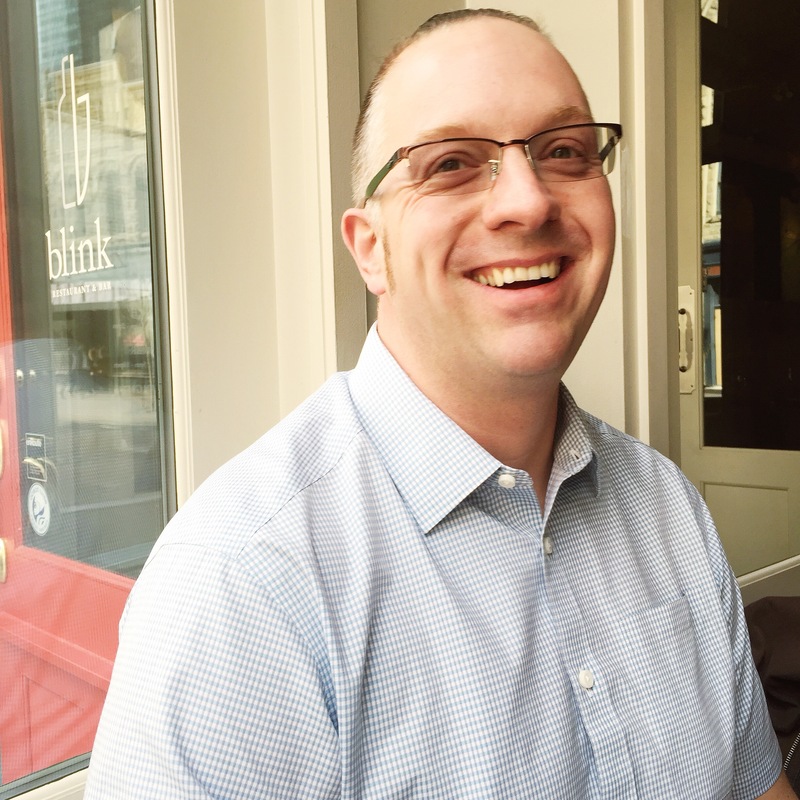 I often suffer from a condition my husband has deemed “summer anxiety” where I try to DO EVERYTHING when the sun is shining. I’m learning, a bit more each year, that a little goes a long way. These adventures will be waiting for us the following summer and the ones after that. Get out and have fun but also be sure to take some time to relax and chill. 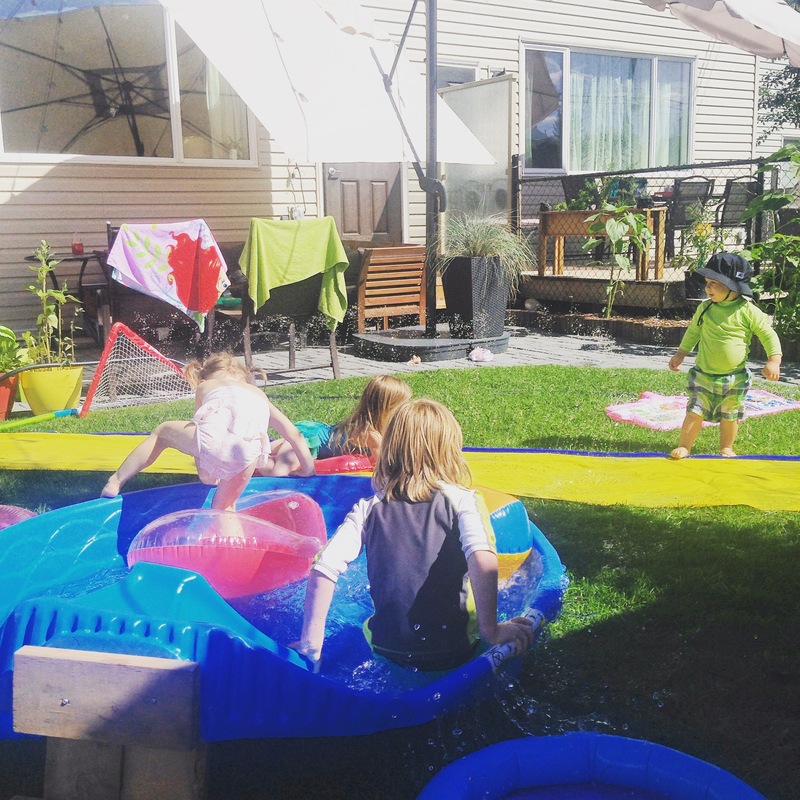 Backyard waterpark sessions are equally enjoyable!